I was in Parpan, Switzerland, at an impact investing get together whilst, over the other side of the mountain at Davos, the 'great' and the 'good' were attending the World Economic Forum. Of this latter, The Economist's editor in chief described the mood as 'short term greed, long term paranoia'. The greed element was the belief (on behalf of CEOs) that the world had turned a corner and was back on the path to growth (unless you live in the Eurozone), the paranoia element related to the fear that technological change was stripping the economy of its ability to create sufficient jobs (for an increasing population). It was at this place, the fortress of Montesegur in the Languedoc, in 1244 that an organised tradition of 'Gnosticism' came to a tragic end. 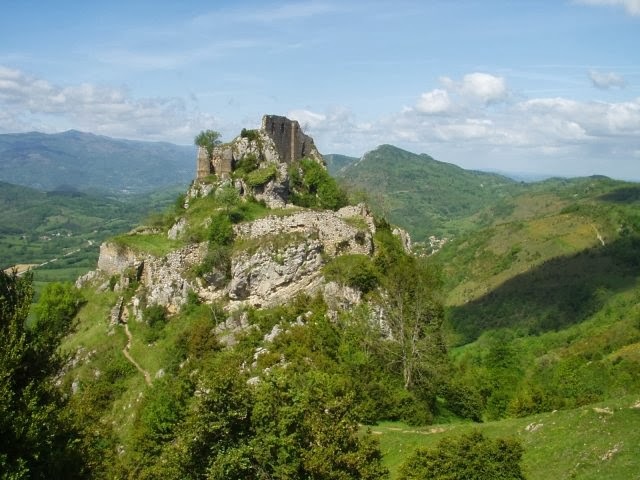 It was here that the Cathar made a last stand against the crusade organised against them by the King of France and the then Pope, rather inappropriately named. 'Innocent' III. 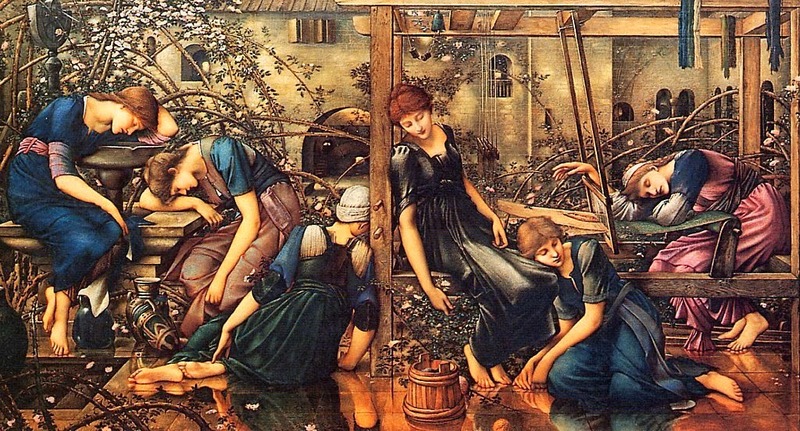 As Richard Smoley recounts in his excellent, if a little breathless, 'Forbidden Faith: The Gnostic Legacy from the Gospels to The Da Vinci Code', this is the moment when a tradition that can be genuinely seen as the fruit of an on-going transmission of Gnostic institutionalised practice is extinguished. Sitting on the plane coming home on Friday, I found myself next to a Dutch engineer who was determined to enter into conversation. 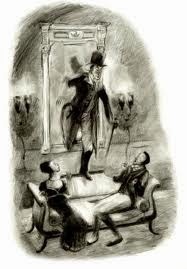 His last and successful gambit was to ask me whether I was enjoying the book I was reading. ''Yes," I replied, thinking if only he would leave me alone to enjoy it! The book itself was Charles Eisenstein's 'Sacred Economics: Money, Gift & Society in an Age of Transition' that likewise aims to chart pathways through our current dilemmas. I maybe not be ghost territory is a conclusion to draw from reading Shirley Jackson's classic novel that the Wall Street Journal described as, "now widely recognised as the greatest haunted house story ever written." It is beautifully written with the set pieces of encroaching terror being always suggested rather than told, skilfully seen from their impacting the psyche of the four main characters, rather than described to the reader. It is, also, provided with appropriate comic relief - the Dudleys as caretakers, withdrawing at six each evening, caricatures of the relentlessly faithful but surly retainers and Mrs Montague, the wife of the organiser of the house's investigation, who 'communicates' with the dead through her planchette but remains oblivious to the actual hauntings! I was sitting at breakfast in the 'Solar' at Dartington Hall opposite a large woman with striking black hair combed back into a perfectly shaped, rounded bun whose carrying voice (befitting the singer she had been) lent over the wide wooden table and demanded, 'Are you a poet? You look like a poet'. 'No,' I replied, 'I am afraid I am not' but in a moment of unbidden and mysterious inspiration added, 'But I do dream'. No response could have had weightier significance for, Thetis Blacker, my morning conversation partner, was a formidable dreamer, indeed her book, 'A Pilgrimage of Dreams' records some of her most significant and they have the quality of mythic story. If, unlikely as it is, I am invited onto BBC Radio 4's 'Desert Island Discs' (the archive of this long running interview programme can be found here: http://www.bbc.co.uk/radio4/features/desert-island-discs/find-a-castaway) and am asked which of my eight recordings I would want to keep if the other seven were to be washed away, it would be this one: Ralph Vaughan Williams' 'The Lark Ascending'. "Again that expression, le point vierge, (I cannot translate it) comes in here. 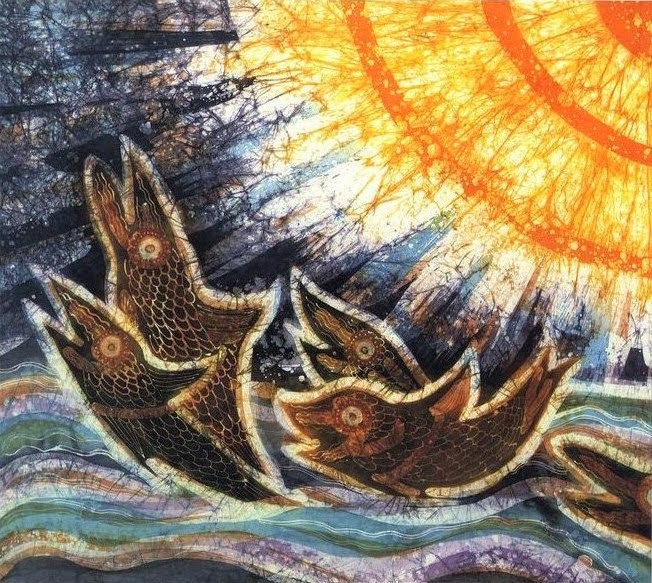 At the centre of our being is a point of pure nothingness which is untouched by sin and illusion, a point of pure truth, a point or spark that belongs entirely to God, which is never at our disposal, from which God disposes of our lives, which is inaccessible to the fantasises of our mind or the brutalities of our own will. This little point of nothingness and of our absolute poverty is the pure glory of God written in us. It is so to speak His name written in us, as our sonship. It is like a pure diamond blazing with the invisible light of heaven. It is in everybody, and if we could see it we would see these billions of points of light coming together in the face and blaze of a sun that would make all the darkness and cruelty of life vanish completely." 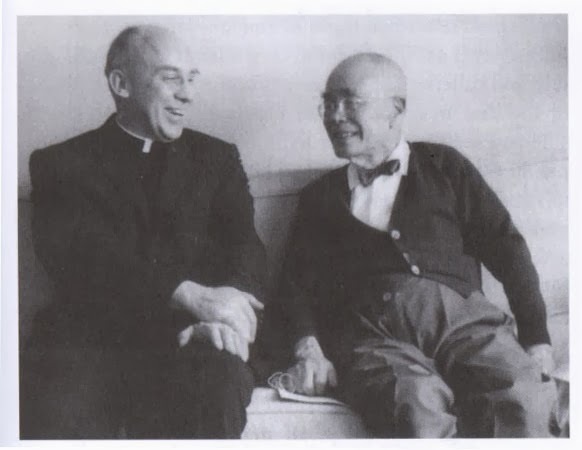 Thomas Merton (shown here with D.T. Suzuki). 'Jonathan Strange and Mr Norrell' by Susanna Clarke is a modern Gothic entertainment that is beautifully written, imaginative and clever. Two magicians aim to restore 'English magic' at the opening of the nineteenth century - the scholarly and timid Mr Norrell and the intuitive and courageous Jonathan Strange. They begin as teacher and pupil, descend into rivalry and 'end' as collaborators. Whilst they assist the British government in diverse ways, creating an 'alternative' history of the Napoleonic Wars as they go, by the end the government is tired of 'magic', creating, as it does, unforeseen consequences, and have begun to regulate it (undoubtedly for its own good)! 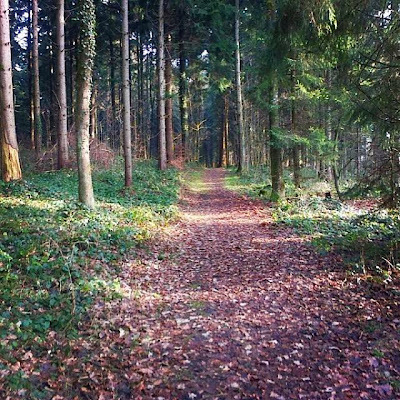 This was the path I took this morning in the forest close to my new (temporary) home in Switzerland. One of the first tasks on 2014 is to find a 'permanent' one. It forms my first New Year resolution: walk more regularly into the woods. It is the landscape that I most dearly love. It brings a sense of enclosing stillness, of light playing in dark, of turning a corner always into the unexpectedly new (that appeals to one born under the sign of Aries) and there is always the possibility of becoming lost (and found). I come out each time refreshed and renewed (and possibly a little lighter)!